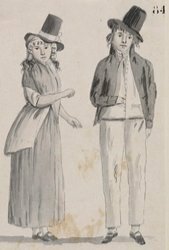 A brief histroy and overview on Australian convicts who were sent to Australia to help solve the problems of the overcrowded prisons in England and to expand the British Empire. Australia is generally very proud of its convict past. It says a lot about a country and its people that it started out as no more than a dumping ground for the British Isles and yet today stands proudly as a democratic and free nation with one of the greatest lifestyles on earth. The First Fleet of 11 ships arrived in Botany Bay in 1788 with 780 of the first Australian convicts plus the ship's crew, heavily armed marines and their wives. 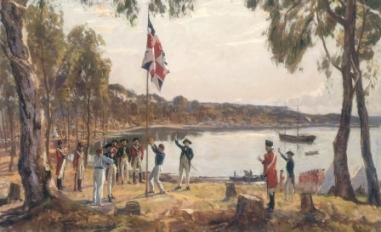 Two more convict fleets followed in 1790 and 1791 and so New South Wales began its life as a lowly penal colony, a home for troublemakers, petty thieves, scoundrels, malefactors, murderers and miscreants. Life was tough for those first Australian convicts! By 1792 the settlement had survived its first and worst five years. Sydney was a rough place but it was still there and growing. Just after landing the food situation in the colony became critical as the land wasn't fertile enough to produce any food and it looked like the whole population might starve to death. 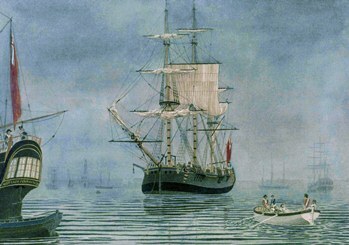 As a precaution, Governor Phillip sent the Sirius to the Cape of Good Hope where flour and other food were available. The ship left Sydney Cove on 2 October 1788 and returned on 6 May 1789, after covering 36,000 kilometres, bringing food and other supplies; the colony survived its first disaster. Over the next 65 years 165,000 Australian convicts were transported to Australia. Most were poor and illiterate, victims of the punitive laws and social conditions in Georgian England. Eight out of ten prisoners were convicted for a minor larceny of some description and the average age of a transportee was 26. Most were young men but their number also included children who were either convicted of crimes or were making the journey with their mothers, and just one in six transportees was a woman. Depending on the offence, for the first 40 years of transportation Australian convicts were sentenced to terms of seven years, 10 years, or life. 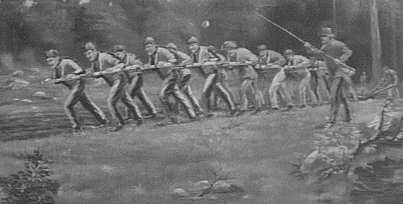 The early convicts were all sent to Botany Bay, but by the early 1800s they were also being sent directly to destinations such as Norfolk Island, Van Diemen's Land, Port Macquarie and Moreton Bay. The first of the free settlers began to arrive in 1793 and shortly thereafter convicts began to win their freedom through recognition of their good behaviour. Good behaviour meant that convicts rarely served their full term and could qualify for a "Ticket of Leave", Certificate of Freedom, Conditional Pardon or even an Absolute Pardon. This allowed convicts to earn their own living and live independently, mixing with the free settlers and joining the wider community. The 'ticket of leave' licences were developed first to save money, but they then became a central part of the convict system which provided the model for later systems of probation for prisoners. Governor King (1800-1804) first issued tickets of leave to any convicts who seemed able to support themselves, in order to save on providing them with food from the government store. The tickets were then used as a reward for good behaviour and special service, such as informing on other convicts or bushrangers. 'Gentlemen' convicts were issued with tickets on their arrival in the colony although Governor Macquarie (1810-1821) later ordered that a convict had to serve at least three years before being eligible. As life began to improve for both free settlers and convicts in New South Wales, new penal colonies had been established in what is now Victoria, Queensland, Tasmania and later Western Australia, which had begun as a 'free' colony but required convict labour to survive. 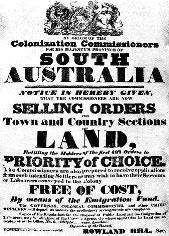 South Australia was the only colony in Australia to commence and then prosper as a totally free colony. By 1830 the Port Arthur penal station on Van Diemen's Land (now Tasmania) was established as a timber camp, producing sawn logs for government projects. After 1833 it became a punishment station for repeat offenders from all the other Australian colonies and by the end of the 1830s many people in England and Australia began to believe that transportation should be stopped. A lot of people had been born in Australia by then and it was felt that Australians should begin to govern themselves and that would be impossible as long as convicts were being sent here. It was also proving difficult for workers in Australia as long as farmers could employ Australian convicts as workers without having to pay them. By 1840 Port Arthur penal station had over 2000 Australian convicts, soldiers and civil staff. It had become a major industrial settlement. A probation system was introduced in 1841 and many convicts were sent to outstations around the Peninsula to work in timber and agriculture. Port Arthur then became a punishment station for serious repeat offenders. Transportation to Van Diemen's Land was finally ended in 1853. Port Arthur then became a centre to look after the remnants of the convict system, men too physically or mentally disabled to look after themselves. It became the administrative centre of a system of outstations that now housed invalids who worked at agriculture if they could, or who, as the last convicts to, simply served out their time. The penal settlement finally closed in 1877. Many of the settlement's buildings were quickly pulled down or gutted by fire. Others were sold to private settlers and gradually a small town, named Carnarvon, was established. Tourists began to pour in immediately and some of the buildings became hotels, guest houses and museums. The Port Arthur Historic Site Management Authority is now responsible for the site's management and conservation as a place of international significance. Port Arthur is Australia's last link to its convict past and is now Tasmania's premier tourist attraction. The very last ship carrying Australian convicts arrived in Western Australia in 1868 and thus ended Australia's convict history.